The 2019 Unibet Premier League continues with Night Seven in Berlin on Thursday, as Max Hopp becomes the first German player to star in the competition at the Mercedes-Benz Arena. Hopp will be the seventh Contender to make their Premier League debut in this year’s tournament as he takes on Raymond van Barneveld, who is seeking a first victory of the campaign. German number one Hopp enjoyed his best PDC campaign in 2018, becoming the first German player to win a European Tour event while also reaching the semi-finals of the European Championship, and Hopp believes Thursday could be the catalyst for further success. Van Barneveld enjoyed a return to form by reaching his first ProTour final since 2015 last Sunday, but the former Premier League champion is rooted to the foot of the table following a difficult opening six nights of action. The departing Dutchman will be desperate for a win to increase his chances of survival ahead of Judgement Night in Rotterdam next Thursday. Michael van Gerwen returned to the top of the league with victory over Gerwyn Price in Nottingham on Night Six, and he will face Daryl Gurney, who is Van Barneveld’s nearest target in eighth place. Gerwyn Price suffered his first defeat of the campaign last Thursday, and he will be looking to bounce back against last year’s semi-finalist Rob Cross, who is tied on points with Van Gerwen at the table’s summit. Third-placed James Wade will face fourth-placed Peter Wright, while 2018 Premier League finalist Michael Smith will take on Mensur Suljovic as both players look to drag themselves away from the relegation picture. The top four players at the end of 16 nights will face off in the Play-Offs at The O2 on May 23, while the ninth-placed player following Judgement Night in Rotterdam will face an early elimination. 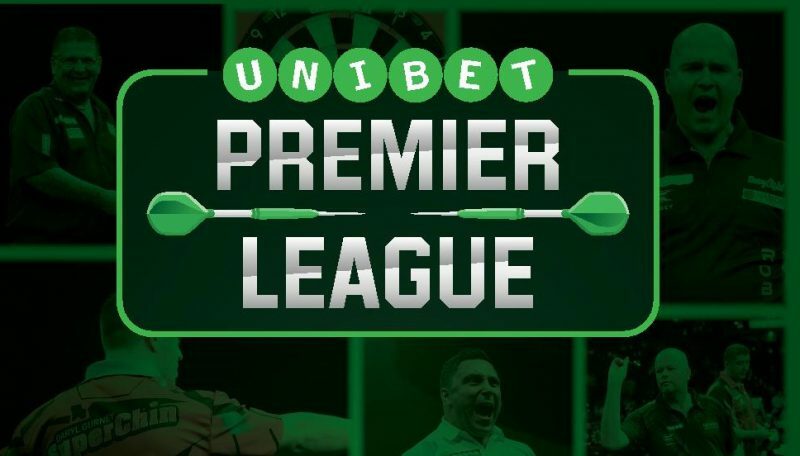 Night Seven of the Unibet Premier League in Nottingham will be shown live on Sky Sports, worldwide through the PDC’s broadcast partners, and through PDCTV-HD for Rest of the World Subscribers. Odds accurate; 21/03/2019 12:00 am.